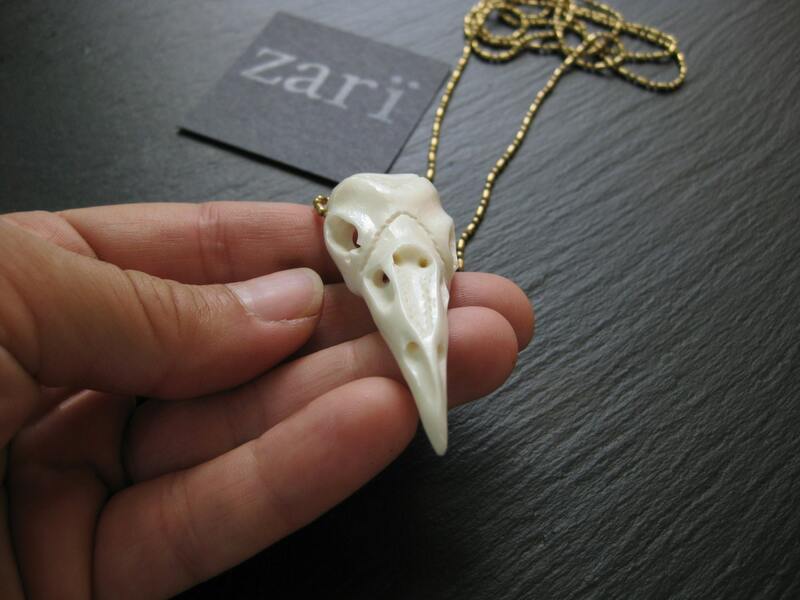 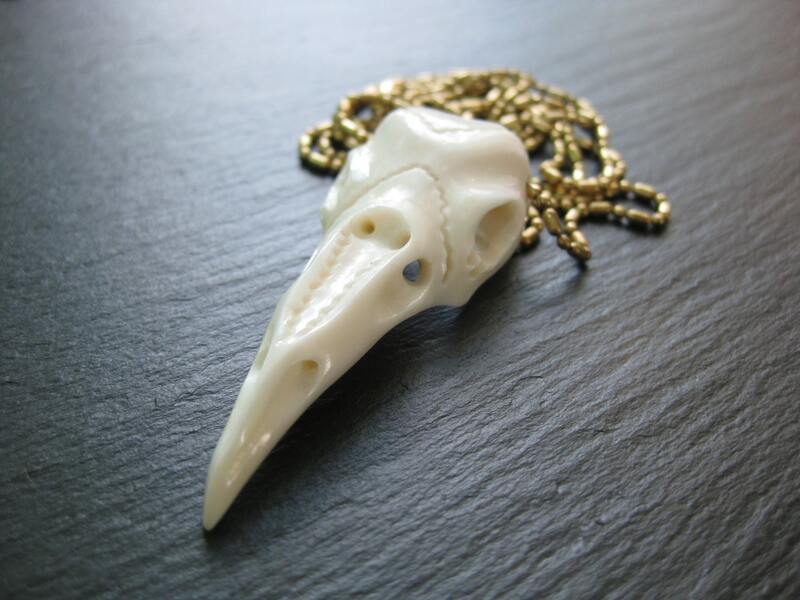 Mysterious handcarved bone bird skull pendant on genuine brass chain. 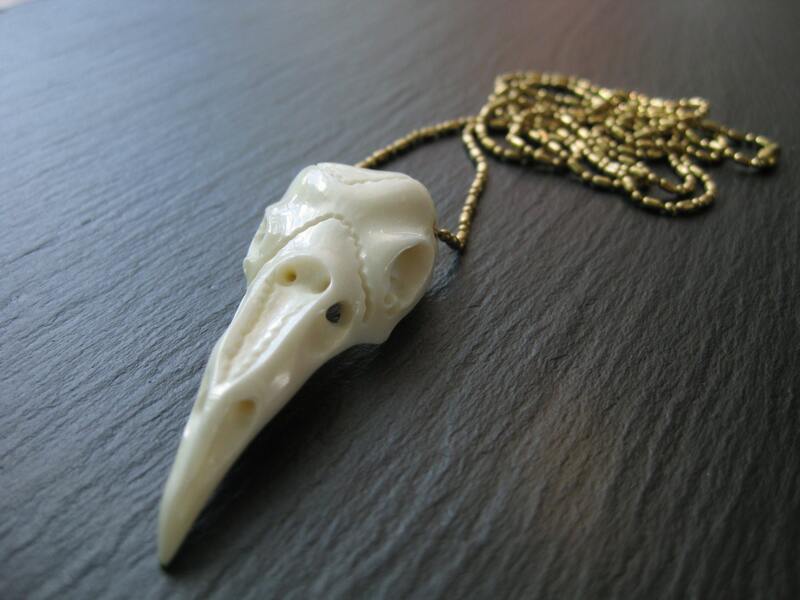 Made by hand by Nyoman in Bali from upcycled buffalo bone. 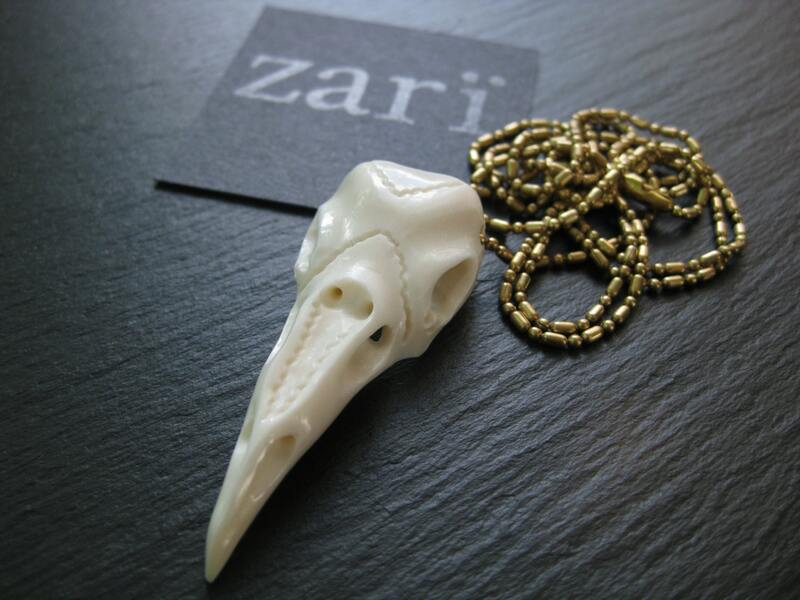 Due to its organic handmade nature, very slight variations can occur in details from one piece to another. 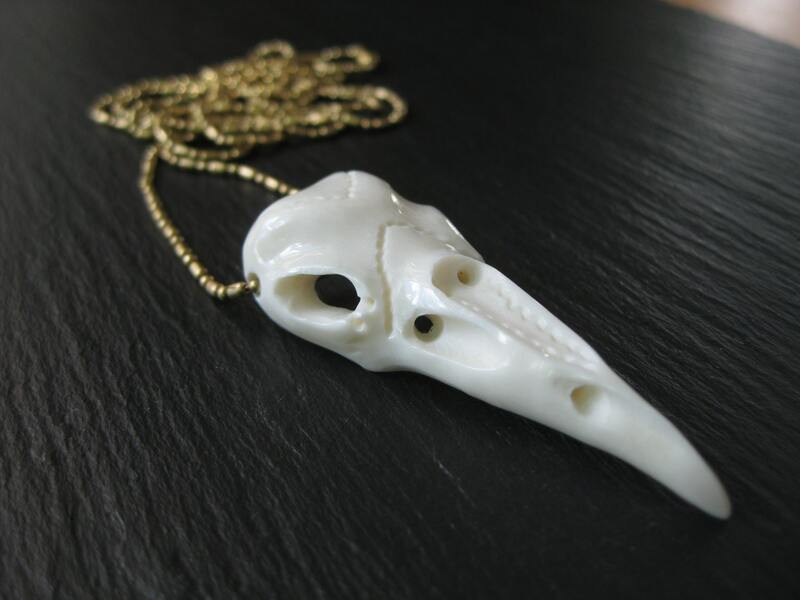 This adds to the original beauty of handmade with natural materials.